Whilst rumours of his master's return circulates throughout the mage community, Alex Verus, Diviner and known "outsider", chooses to ignore the gossip and focus on something else entirely, such as rebuilding damaged friendships. An interruption comes in the form of abduction when Anne, his once housemate and valued companion, disappears in her home. Taking it upon himself, Alex doesn't hesitate to stage a rescue mission, which just so happens to lead to a shadow realm, belonging to the one and only Dark mage, Sagash. 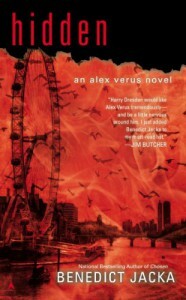 I started reading this series (Alex Verus is nine instalments long), in 2014, as it was one of the few in the genre that had a male protagonist. Being largely into Urban Fantasy at that time, it didn't take a genius to notice the staggering amount of females that dominated. Alex's trouble-making was thus refreshing, yet always struck me as having some issues that I just couldn't ignore. For one, the plot-lines primarily consisted of Alex saving women - not that I have a problem with the odd damsel in distress; I'm not a fragile flower that gets offended by a man coming to the rescue of a lady, but with the amount it happened it got repetitive pretty quickly. The fourth book, Chosen, turned the tables, and Alex was the one in need of saving by the strong females he surrounds himself with. I appreciated that instalment considerably more than the rest, hence my rating of four stars. This one, however, seems to have returned to its roots - the rinse and repeat of Alex being good at everything in full force. The events that transpired in this one, whilst interesting to an extent, were very clearly filler. However I admit, I actually liked the concept of a shadow realm; the very personal domain of a Dark mage, where their deepest, most sinister creations can take form. In general, I find the darker side of mage society to be far more interesting in comparison to the lighter side. This isn't to say Light mages are dull - on the contrary, there's a lot of shady stuff going on there, but they strike me as far, far too political, at least for my tastes. There's a part of me wishes the overall tone of the series was more adult, for the simple reason as to allow the malevolence of the Dark to shine through on a much more heinous level. As it was, I felt a little underwhelmed by Anne's recollection of her past - which consisted of her being forced to kill others in an arena. Yes, murder is ugly, but it just didn't shock me as much as I'd like, especially when it's been stated that Sagash was twisted and, most definitely, bad on all counts. It's at this point that readers are very much aware of Richard, and his impending and much anticipated return. Richard's been a very prominent character from the beginning - Alex has never missed an opportunity to ramble on about his past trauma as his unwilling apprentice. I was hoping there would finally be some sort of reunion or confrontation, and whilst it did happen, it certainly wasn't as explosive as I wanted it to be. Despite being all together anticlimactic, it nevertheless set the foundation for what I assume to be the next book. As for the characters themselves; Alex still had his obvious faults, but he remained likeable in personality. I'd most assuredly have him as a friend if I could, even if he'd probably get me killed. I've always been fond of Anne, though I considered her a little bit over-dramatic here. Arachne wasn't in it as much as I'd like, but I was thankful for Luna being absent for a large portion. The character I disliked the most was Sonder - he was the definition of annoying, clearly stealing Luna's spotlight in that regard. The introduction of the blink fox was, of course, the most memorable aspect - I hope it returns as a permanent ally! Goodness knows Alex will need it. Veiled is the next instalment of this series and it was first published in 2015. It's currently on my reading list. In conclusion - Yet another addition which I considered average, at best, and more than definitely filler. Hopefully the next will be more relevant and include dear ol' Richard! It didn't make me any happier. My crude ability to see the future didn't make me any friends - the opposite, if anything. I had knowledge, but there wasn't anything I could do with it. I was left just as isolated, hating the people who'd ostracised me. Until one cold autumn day when Richard had stepped onto the schoolyard where I was standing, promising me everything I'd secretly wanted if I'd follow him and call him master. And I'd said yes.